Ian Rickson’s production of Hamlet at the Young Vic begins with an elaborate entrance through the backstage area, which has been transformed into a passage through a mental hospital. As you wind through narrow corridors, you catch glimpses of action through windows and the pervading sense from the TV screens and telephones on display that we are entering the 1970s. To be honest all this effort feels a little laboured although it does help to immediately ground the play in its overarching theme: is Hamlet mad? It is a question that has been raked over many times, be it in productions, literary criticism or psychological analysis. However through Ian Rickson’s radical interpretative staging, it is a question that delivers a revelatory redefinition of how the play can be understood. 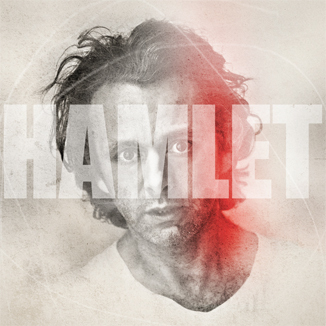 The play begins with a striking image; Michael Sheen’s Hamlet appears out of nowhere in long shot, trapped in a solitary light shining upstage. Rickson’s exquisite framing is a feature that runs throughout the play but this first image, with a clear allusion to Carol Reed’s The Third Man is particularly notable. It is a potent reference point, immediately conjuring up thoughts of Vienna; the spiritual home of Freud and the psychology movement. The Third Man itself is indebted to German expressionists of early cinema, such as Fritz Lang and FW Murnau, who were fascinated by madness and its effect on the human condition. References abound in this play; the 1970’s institutional setting brings to mind One Flew Over the Cuckoo’s Nest and, compared to the recent Hamlets of David Tennant and John Simm, Sheen has an alpha-male muscularity that is redolent of Jack Nicholson without, thankfully, adopting any more of Nicholson’s mannerisms. The other crucial reference point is the work of RD Laing. In a play that has at its heart the discussion and understanding of madness, Laing’s work has a relevance that underpins the perspective that Rickson takes to the play. At the centre of Laing’s theories is the idea that psychosis is not a biological or psychic response but something that can develop out of socio-cultural situations. This has a direct relevance to the understanding of Hamlet. Hamlet is not ‘mad’ per se but he may have become mad due to the conditions that he has found himself within and the drama of the play may be an attempt to break him of that psychosis. 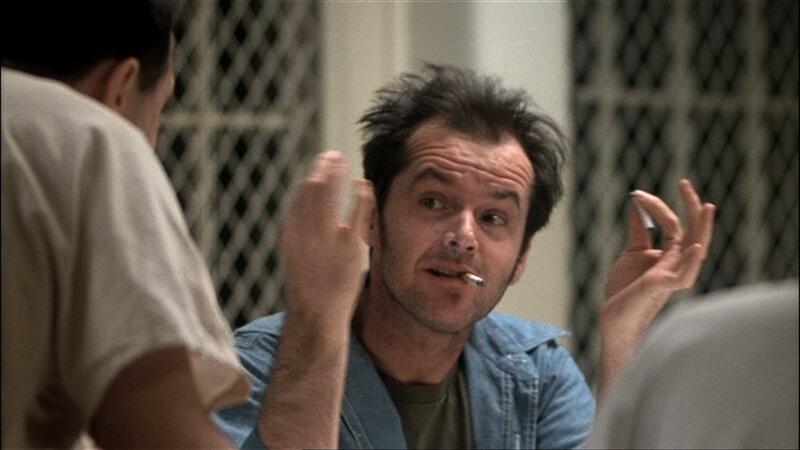 This reading is reinforced through Laing’s idea that ‘going crazy’ can be the sane response to an insane situation. In this, as in so many other cases, we can infer that Shakespeare touched on the principle a few hundred years before the development of psychology as a science. This may be a stretch but it does appear to reflect Hamlet’s understanding of himself; he wishes to assert his own identity, ‘to thine own self be true’, through his understanding and response to his father’s death. However Hamlet’s ideas conflicts with the response demanded by his ‘uncle-father’ Claudius; Laing would argue that Hamlet is stuck between the persona he has created, the avenger of his father, and the one demanded by parental authority and it is in this bind that the context for Hamlet’s ‘madness’ should be understood. The result of this analytical approach is the ability to find new angles to characters that we might feel are known inside and out. Claudius becomes a very 1970’s psychiatrist, clearly influenced by the anti-psychiatry movement. He embraces therapy sessions and role-play; indulging Polonius’ suggestion to use Ophelia to entrap Hamlet as a tool in challenging in Hamlet’s own madness whilst also attempting to facilitate a transformative catharsis in Polonius. However like many who subscribed to the 1970’s move towards anti-institutional constructs that sought to break down traditional power structures in favour of equality of voice, it remains clear that dominant voices control group decisions. Claudius’ response to what he has seen in Polonus’ experiment, ‘Love! His affections do not that way tend’, is crafted with the dismissive high-handedness that is consistent with the ability of a dominant persona to control the debate whilst maintaining the illusion of shared decision-making. Michael Gould’s Polonius is another to benefit from this interpretation; here Polonius, along with Ophelia, is a patient alongside Hamlet. He appears to have become institutionalised to his surroundings and is indulged by Claudius as a form of therapeutic relief. Whereas often Polonius is played comically, as an absent-minded old bore, here there is a deep-seated tragedy. His forgetfulness becomes aligned with spasming hand movements, and when, attempting to instruct Reynaldo about enquiring after Laertes, he loses his train of thought, ‘By the mass, I was about to say something: where did I leave?’, the amusement is tempered with the implicit understanding that this is driven by mental infirmity. The role-playing of Polonius’ breathes new life into old lines; when engaging Hamlet in conversation in an attempt to determine his sanity, he takes on the role of Claudius and provides the asides as a psychiatrist would into a Dictaphone, with ‘Though this be madness, yet there is method in it’ delivered as if taking notes to be typed up later. Ophelia is also liberated in this interpretation. So often a character that gets left behind in the whirlwind of Hamlet’s energy, here she is a major catalyst for action and drives much of the momentum after the interval. It is clear that she contains an inherent fragility and that, in this production, Hamlet’s manic interplay are more than her psyche can bear. This helps turn Ophelia’s descent into one of the true tragedy’s in the production. Vinette Robinson’s creates a haunting Ophelia, whose inevitable fall is almost unwatchable through a performance full of frailty, angular limbs and unstable legs that leave a ‘Bambi’ like impression. There are two images that particularly stand-out; her song sees Ophelia desperately mimic a masturbatory fantasy (possibly referencing Sheen’s heavy emphasis on the first syllable of ‘country’ in the Player’s scene) presenting bloody finger tips to Claudius. Disturbing enough, this is counter-pointed with the innocence of a young girl presenting flowers, but here flowers are the pills she must take and the audience are reminded that for all the role-playing and games, Elsinore is an institution where things remain tightly controlled. The crux of the play inevitably centres on Hamlet’s madness, and it asks the question of whether the audience can trust in Hamlet’s reliability as a narrator. Hamlet spends much of the play attempting to convince himself, other people and by proxy the audience, that he is not mad, but he also spends time in the play attempting to convince Polonius, among others, that he is. Is it not reasonable to suggest that someone who is mad would attempt to do the very same? And if this is true, does it raise questions of the story as it unfolds? There is little that can be said in this review on the answers to these questions without giving away some key dramatic conceits of the play. At the interval, as strong as the play had been, there were serious reservations whether it could maintain its fidelity to the construct it had set itself, as the final scenes sees the play descend from the tragedy of the existential to the tragedy of the physical. However Ian Rickson more than surpasses these hurdles and by the final blackout he has addressed that nagging doubt completely. This is a director’s Hamlet, and one of the most original and radical interpretations of a Shakespeare play that I have seen in a long time. It takes a bold director to spot something that feels entirely new in Shakespeare and the idea of an unreliable Hamlet works perfectly within the institutionalised setting of 1970’s psychiatry. There are a few false notes; the role of Gertrude in particular gets sidelined in the proceedings and there are times when the strictures of the context force scenes unnaturally. However it is a strong ensemble cast and Michael Sheen clearly relishes the challenge that Ian Rickson has set him. This production is a major departure from the high-profile Hamlet’s we have seen in the last few years and should be regarded as unmissable for those interested in reinterpreted Shakespeare. However the clear sense of considered identity in the setting also makes an engrossing, if slightly humourless, version for those less engaged with Shakespeare.